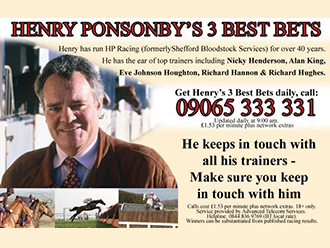 Thank you for visiting the website of Henry Ponsonby Racing. 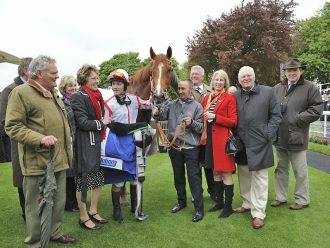 Owning a racehorse in an exclusive syndicate/partnership of up to just 12 people, enables you to share the costs and still experience the enjoyment and indescribable thrill of seeing your horse first past the post. "For years there has been wonderment at the high level of success that Henry Ponsonby, a pioneer of owners' syndicates, has managed to maintain." "He is successful because he makes racing fun for people whilst maintaining correct business principles and of course there is more than a whiff of excitement, even danger. He is in short a larger than life character whose ethos 'work hard, play hard' is bringing satisfaction to a lot of people." "Thank you once again for a fabulous day. We keep thinking it can't get better but it does. Our horse ran so well and it was so exciting. 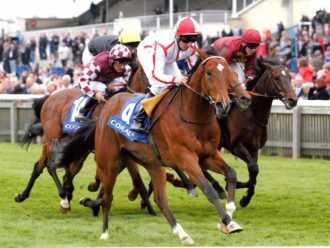 We had an exceptional day as it was our first visit to Royal Ascot."